WINONA LAKE – Grace’s women’s tennis team had little trouble with Goshen on Saturday, winning 9-0 at Miller Athletic Complex. 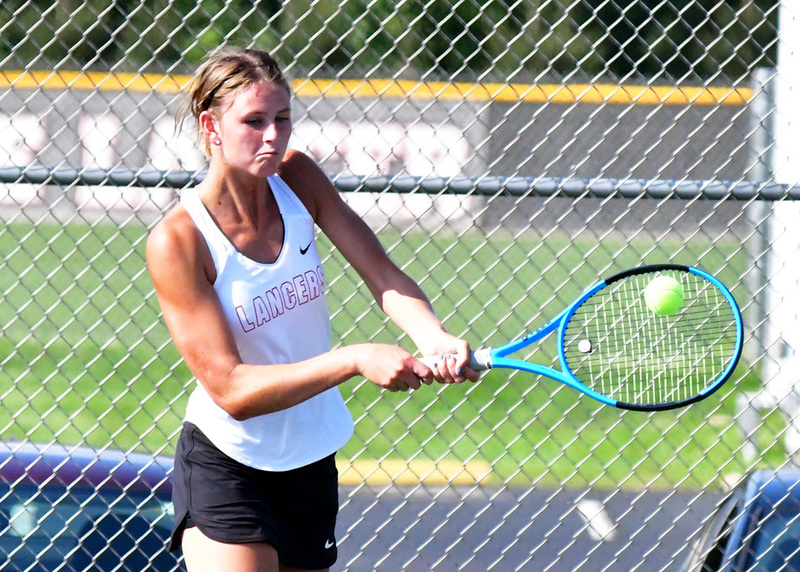 The Lady Lancers (2-0, 2-0 Crossroads League) only dropped two games across three doubles’ courts, and Grace won every singles’ match in straight sets. Carrie Copeland and Molly Fitzpatrick won 8-1 at No. 1 doubles, and Jenna Jackson and Jayna Armstrong won by the same score at No. 2. Morgan Mast and Shelby Bankson blanked their opponents 8-0 at No. 3 doubles, and they were nearly unblemished in singles’ play as well. Mast at No. 5 singles and Bankson at No. 6 both won by the scoreline of 6-0, 6-1. Jackson was perfect at No. 2 singles (6-0, 6-0), and Fitzpatrick was victorious 6-2, 6-0 at No. 4 singles. Armstrong won 6-2, 6-1 at No. 3 singles, and Copeland secured the sweep with a 6-1, 6-4 win at No. 1 singles. The Lady Lancers continue play at home on Tuesday against Indiana Tech at 4 p.m.